Since 2004, the Young Composers Competition has recognized and encouraged the efforts of those between the ages of 12 and 21 who are involved in the creative process of composing music. Entries are currently being accepted for the 2018-2019 Young Composers Competition. The deadline for submissions is Oct.19, 2018 and winners are announced no later than Jan. 9, 2019. The Community Music School of Webster University will welcome Niloufar Nourbakhsh as guest composer for their 2018-2019 Young Composers Competition (YCC). Described as "stark" by WNPR, Iranian composer Nourbakhsh's music has been commissioned and performed around the world. 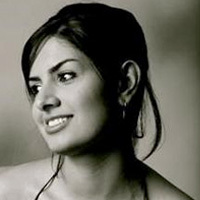 She is a founder of the Iranian Female Composers Association and a strong advocate of music education. Since 2004, the YCC has recognized and encouraged the efforts of those between the ages of 12 and 21 who are involved in the creative process of composing music.